Lucia Gabel is a freshman at Harrisonburg High School. 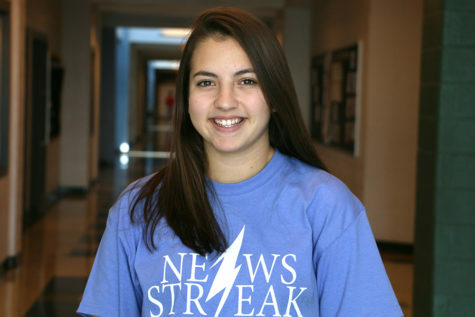 This is her first year as a staff reporter for Newsstreak. In her free time she enjoys participating in theatre inside and outside of school. She has been acting in a program at Blue Ridge Community College for six years and loves to express herself through different arts. In the fall she enjoys playing JV volleyball and has been playing for three years. In addition, Lucia loves to take trips with her family, explore new places and meet new people. In her future she wants to travel the world and be exposed to new cultures.